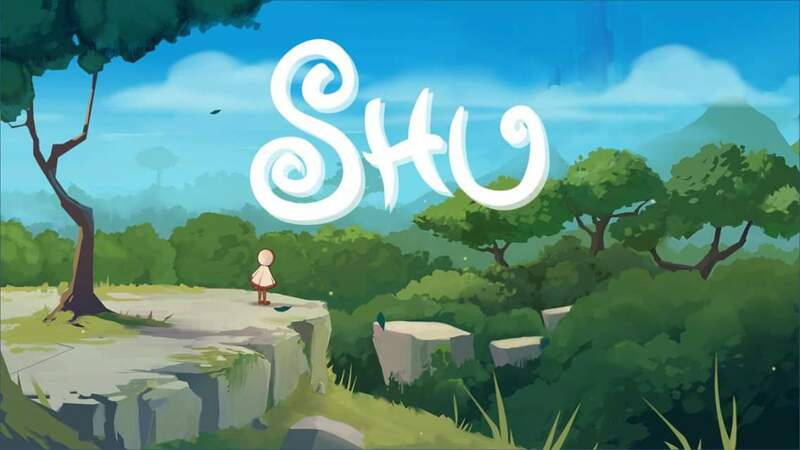 Shu is an adorable platformer with cute visuals and ambient music that hits all the right notes- especially when you trigger those scales by collecting GPS butterflies. 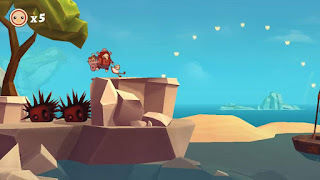 While Shu has beautiful modern graphics and a lush landscape to traverse, it is a loving homage to the old school platformers that we all grew up with and loved. Developer Coatsink eschews the popular Metroidvania formula that many other throwback platformers utilize, and instead goes for an endearing mix of classic Sonic games and Rayman. The paths are linear, but there are still a half dozen collectibles to be found scattered throughout the levels. Finding these does require some deviations from the course, but does so in a circuitous manner that often leads right back to the intended path. The emphasis in Shu is definitely on the stupendous level design, which are littered with checkpoints to help assuage the well balanced platforming puzzles. They can sometimes be a bit challenging, but are easily overcome by repetition and attention to the little details and hints. There is no combat in Shu, just a lot of spikey things and a really angry storm cloud. The aforementioned butterflies will always guide you in the right direction, and double as the genre's classic "collect 100 of these to get an extra life" mechanic. You start off with five kices, but is easy enough to gain at least two in every level, and reset each time you get to a new level. Like any good mascot of old, Shu has a unique ability to call his own that makes him stand out from the pack. 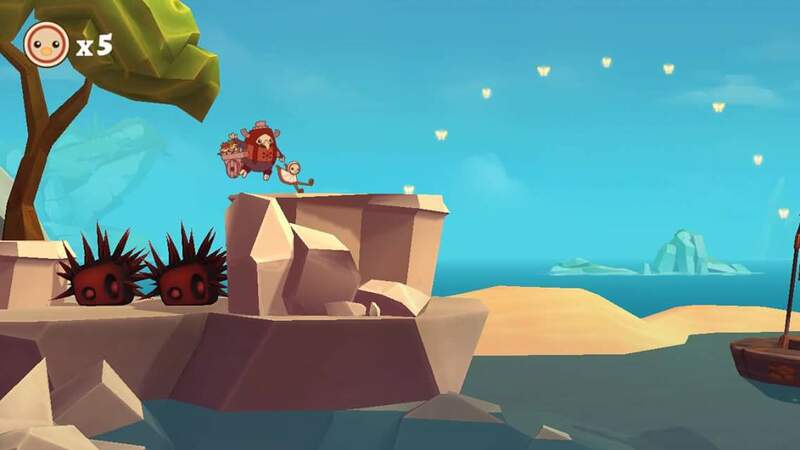 By holding "R", you can float through the stage with ease, boosting your jump range considerably, and enabling you to float on gusts of wind that carry you over and around otherwise impassable obstacles. To assist Shu, you will rescue survivors of the great storm that has racked this world, each of which will impart a new ability that is necessary to progress. 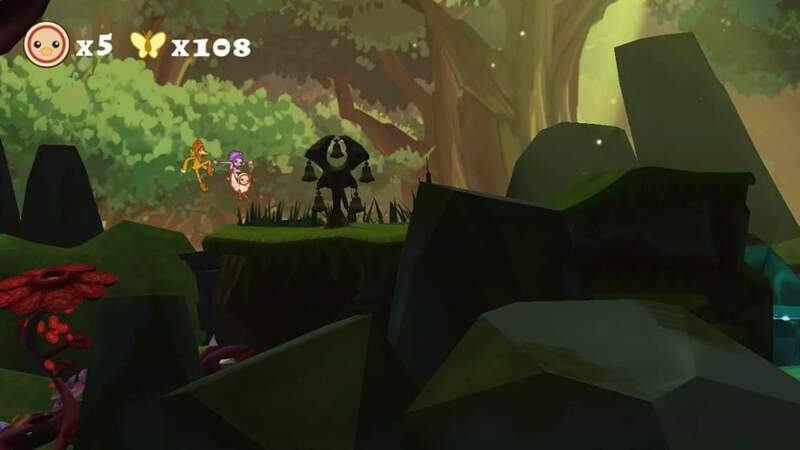 These include staples such as wall jump and double jump. There is also the ability to walk on water, and to smash through platforms below you. Since you rescue these survivors, they are only with you temporarily, and their bonus ability leaves with them. This limitation makes for a more interesting experience overall, because you can't just Superman your way through later levels because you have all of the abilities. You then have to learn how to make the best of what is available to you at any given moment. Along with all of these other retro trappings, Coatsink brought back my least favorite type of level- the chase. Since you're always escaping a cataclysmic storm, you are often reminded that it hasn't abated yet, and every so often this storm catches up to Shu. These will probably be the sections that most people have trouble with, and initially I thought that the inclusion of these chase sections were a huge detriment to the overall game. After thinking on it more, however, I've come to appreciate these, because they really put your level-based skills to the test. It is a little bothersome that they come as often as they do, but it fits very well with the theme of the game, and I'm sure that my distaste has more to do with bad memories of those poorly executed chase scenes found in games like Beavis and Butthead (Genesis), and The Three Stooges (NES).